London, UK. 17.11.2015. THE DIVIDED LAING, by Patrick Marmion, directed by Michael Kingsbury, opens at the Arcola. 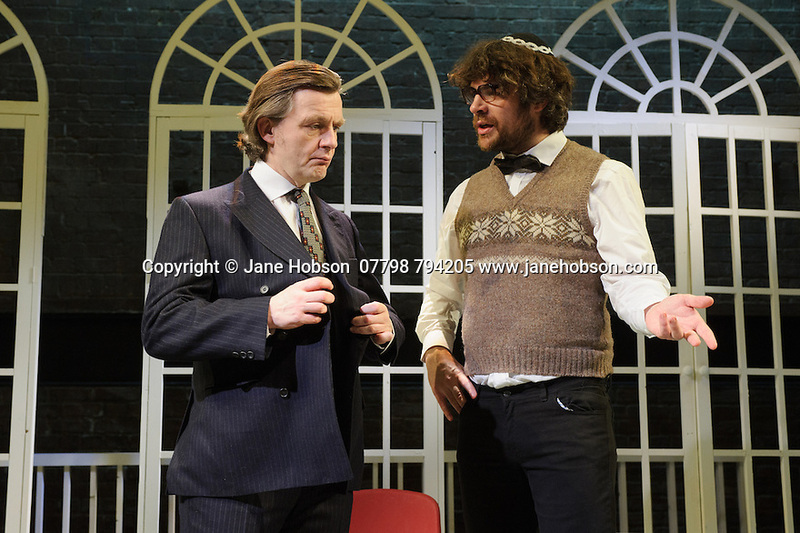 Picture shows: Alan Cox (R. D. Laing), James Russell (Joseph Burke). Photograph © Jane Hobson.